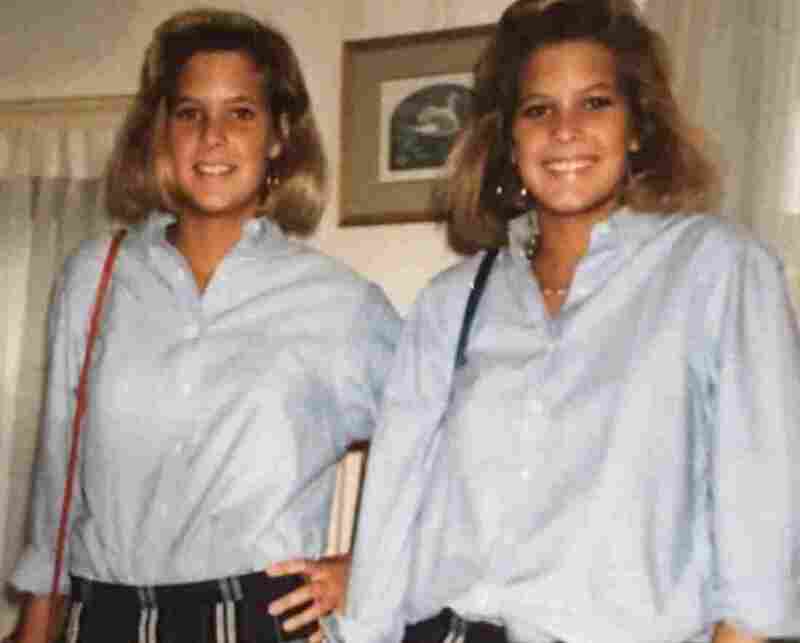 3 Billboards In Baltimore: Woman Tries To Solve Cold Case Of Sister's Murder Jennifer Carrieri's twin was shot and murdered in an empty parking lot in 1996, but nobody knows why. This year, Carrieri put up billboards in Baltimore, Md., in the hopes of solving the cold case. Jody LeCornu (L) and her twin sister, Jennifer Carrieri, were inseparable. Jennifer Carrieri was born two minutes after her twin, Jody LeCornu. From that point on, the two sisters were inseparable. They shared the same room growing up. They hung out with the same friends. As adults, they racked up costly phone bills from talking to each other every day. In family photos, they're always seen side by side, sporting their dirty blonde hair in the same hairstyles. 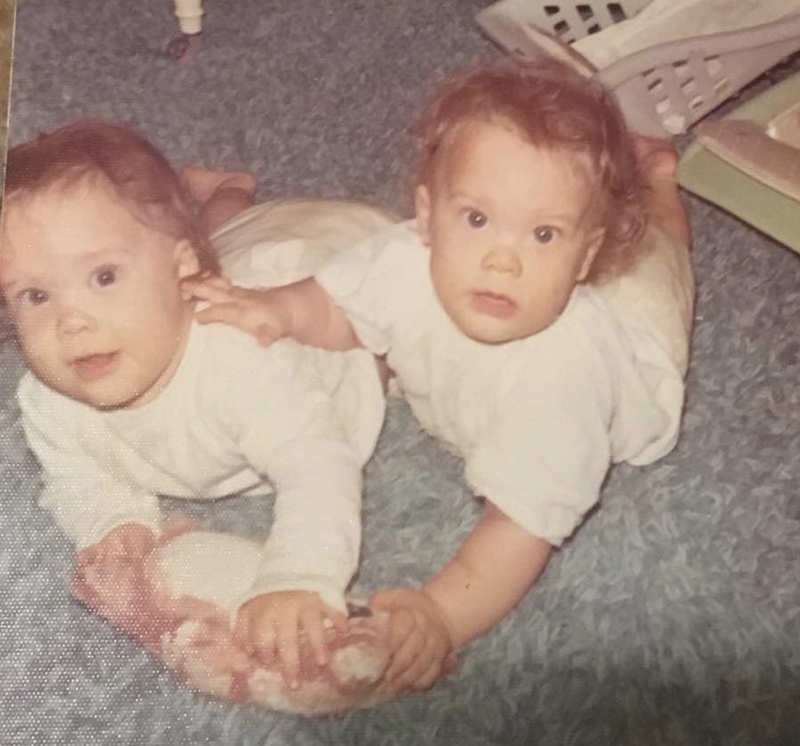 Despite their similarities, it's often easy to tell who is who: LeCornu, known as the "strong" twin, always flashes a wide grin, while Carrieri, the "shy" twin, wears a fainter smile. But Carrieri wasn't with her sister when LeCornu died. According to Carrieri, on March 2, 1996, LeCornu was sitting in her white Honda Civic in an empty shopping center parking lot in Towson, Md., at 3:40 a.m., making phone calls. A stocky man drove up to her in a white BMW model car and started talking to her through her rolled down window. Following the exchange, he fired at her from behind — killing her with a single shot that pierced through the left rear passenger window, sliced through the driver's seat, then severed LeCornu's spine. After she was shot, LeCornu managed to drive across the street to another shopping center on York Road. She circled that parking lot until she died and came to a stop. The same man that shot her followed LeCornu and watched. Finally, he approached her car again, reached down across her lifeless body, took something from the car and drove away. At the time of her death, LeCornu was 23, working part-time at a bank in Hunt Valley, Md., and pursuing studies at Towson State University. The identity of LeCornu's killer remains unknown, the crime unsolved. Jennifer Carrieri paid for three billboards offering a $100,000 reward for information about the 1996 murder of her sister, Jody LeCornu. 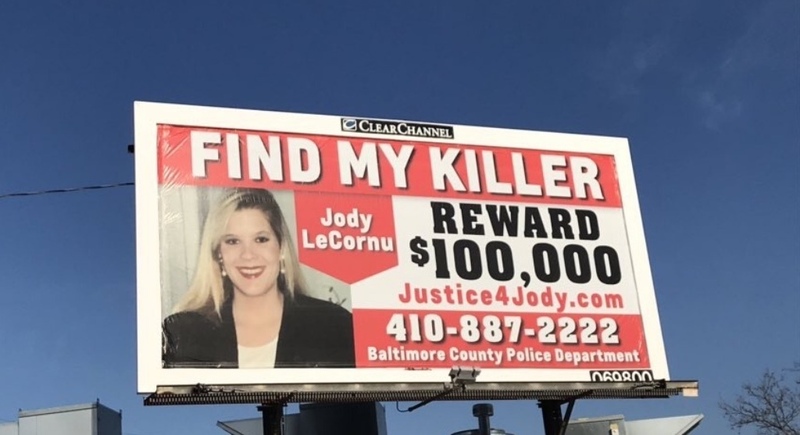 This year — the 23rd anniversary of her sister's murder — Carrieri paid for three billboards in Baltimore emblazoned with the appeal, "Find My Killer" and she's offering a $100,000 reward for the arrest and conviction of the person who took LeCornu's life. Carrieri got the idea to put up the billboards from the Academy Award-winning 2017 film Three Billboards Outside Ebbing, Missouri, in which Frances McDormond plays a mother seeking justice for her murdered daughter. "It really inspired me," she told NPR's Lulu Garcia-Navarro on Weekend Edition. "Hopefully, something's going to come up, because I mean, it's definitely been like a lot of ups and downs." Carrieri recalled that when she heard about her sister's death, she went into numb shock. At first, she couldn't even be in a room by herself. For years, she couldn't drive into Baltimore or visit her sister's grave. She was fearful all the time. When her husband went on work trips, she would lock herself in the bedroom with her children — telling the kids that it was a slumber party — because she thought somebody might come after them. Over time, her anxiety has faded, replaced by a circling fixation on solving the case. According to Carrieri, there is video footage of the murderer driving away, but the images are blurred by the snow from that night, and up to six witnesses may have seen the incident. In a frustrating, perhaps maddening, investigation, nothing has come of either. For the past 23 years, Carrieri, now 46, has given countless interviews sharing her sister's story. She has spent more than $30,000 in legal fees to fight the police department for access to her sister's case files, which were never released. She has started a #Justice4Jody website and Facebook page with information and updates. She has talked to anyone, even prison inmates, that might have a lead. Jennifer Carrieri (L) was born two minutes after her twin, Jody LeCornu (R). Carrieri said her husband, William Carrieri, doesn't understand why she continues to aggressively seek justice for her sister — it won't bring LeCornu back. "How can I not?" she asked. Every time Carrieri shares her sister's story, she wonders, what if this is it? What if this is the interview that someone is going to hear something and give the right information to the police? What if they finally catch the killer? Other queries keep Carrieri up at night. Where can she go next? What else can she do to help solve the murder? Some nights, Carrieri still sleeps with her sister's baby blanket. She's unable to let go — of the blanket, of her sister, of the questions swirling in her mind. Why did her sister stop and buy a pack of beer before she went to the parking lot? Why was her anxious sister — who was normally terrified of the possibility of being shot in Baltimore — out so late by herself? Why was her compassionate, fun sister — a sister who had plenty of friends — sitting in a parking lot in the middle of the night, alone? Jennifer Carrieri (L) and her sister, Jody LeCornu, sport matching outfits. Carrieri knows that after spending a night at the Mount Washington Tavern in Baltimore with friends, LeCornu had not gone back to her apartment with her boyfriend — which was a mere two minutes away from the parking lot where she died — due to an earlier fight with her boyfriend about her heavy drinking habits. Still, Carrieri said, "She definitely would have had somewhere to go." Her sister's odd behavior that night, and the seemingly random circumstance of her death is a puzzle that Carrieri has not been able to put to rest. She took over the case from her late father, who died from non-Hodgkin's lymphoma and left behind scribbled-on files and notes about LeCornu's case. "He wasn't able to really make any headway in the case," Carrieri said. "So it was really sad that he didn't get to see justice for her." But Carrieri isn't stopping — she has become consumed with seeking justice for her sister, in the hopes of gaining inner peace. "I still have this sadness and part of me is missing," she said. "It's hard for me to be joyful. I just feel like a lot of times I'm going through the motions of my life." The only way forward for Carrieri, she said, is to keep moving through those motions. She can't sit still by herself anymore — her constantly restless body matches her unsettled mind. 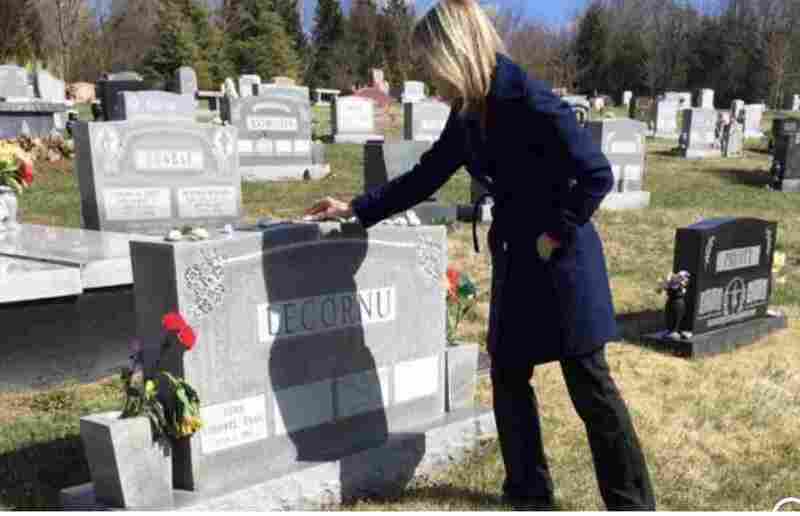 Jennifer Carrieri visits the grave of her sister, Jody LeCornu. It's all taken a toll on Carrieri's marriage and her family. She tries to balance being mentally present as a wife and a mother to three children — who are aged 17, 14 and 9 — with the feeling that she needs to solve her sister's murder. She has received counseling and has taken different antidepressants, but said she still struggles with anxiety and depression. Part of what helps her heal is talking with her therapist and focusing on helping others. But, she is still struggling with the pain of her sister's death. At the end of last year, she'd planned to take a break from the case — talking about it and investigating it — for a while. Then, she got a call. "When my phone rings I'm thinking, this is it, they're going to call and tell me there's an arrest," Carrieri said. "And I know they have a lot of other cases but I'm not going to let them forget her case." The call was from a news organization, asking her to do an interview about the case. Anyone with information about the LeCornu's killing can call Baltimore County Police at 410-887-2222, Maryland's Metro Crime Stoppers at 866-756-2587 [866-7LOCKUP], or submit information through the website www.metrocrimestoppers.org. NPR's Peter Breslow and Lynn Kim produced and edited this story for broadcast.